Italian media reports that across Italy, parents are falsifying vaccine documents to prevent their children from being barred from attending school. These parents are responding to a new law, which imposes fines of thousands of euros for not vaccinating their children. The Italian government announced the new measured last Wednesday, imposing strict controls on unvaccinated children, after the new law went into effect last Monday. The law stipulates that minors aged 16 and under must have 10 mandatory vaccinations in order to attend schools, nurseries or kindergartens. The New York Times reports that instead of vaccinating their children, several parents have submitted falsified health documents in an effort to keep them in school. Under the law, parents could “self-certify” that the child was vaccinated, but some parents have used forged documents. In the Italian town of Belluno, public prosecutors launched investigations into verification processes at schools after seventeen parents submitted “self-certified” documents that falsely stated their children had received the mandatory vaccinations. Other provinces have reported similar cases. Italian authorities say that thousands of schoolchildren have not received the mandatory vaccinations, which include those against measles, tetanus, polio, and hepatitis B. 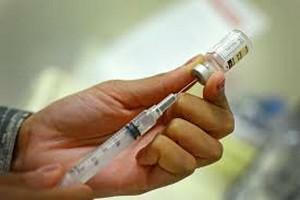 Parents can be fined up to €3,500 ($3,955) for not vaccinating their children. In the past, leaders of the two populist, right-wing coalition partners let their skepticism over vaccination be known. Last year, Italian Interior Minister Matteo Salvini said that “10 vaccines for children are too many” and “sometimes even dangerous.” He has said there needs to be more legal flexibility to account for parents’ choice on whether they want their children vaccinated. Days before the law went into effect, Salvini called on Health Minister Giulia Grillo, a 5 Star Movement (M5S) lawmaker, to relax the regulation to allow children under the age of 5 to attend kindergartens without the vaccinations. She said while there may be shortcomings with the law, it is up to parliament to decide the way forward. DW notes that the WHO said in February that the number of people infected with measles has risen to the highest in a decade. Earlier this month, the UN said measles is witnessing a global resurgence due to “vaccine hesitancy.” The measles vaccine is around 97 percent effective in preventing the highly infectious disease.